The low pressure area is moving through Central California this morning. There will periods of rain or showers across Northern California today and early Thursday. The snow levels will be 5500 to 6500 feet. Thursday we will have partly cloudy to partly sunny skies. Friday and early Saturday the next low pressure trough will move through the north state. This system will bring light rain to the area Friday and early Saturday. Snow levels will be 5000 to 6000 feet. 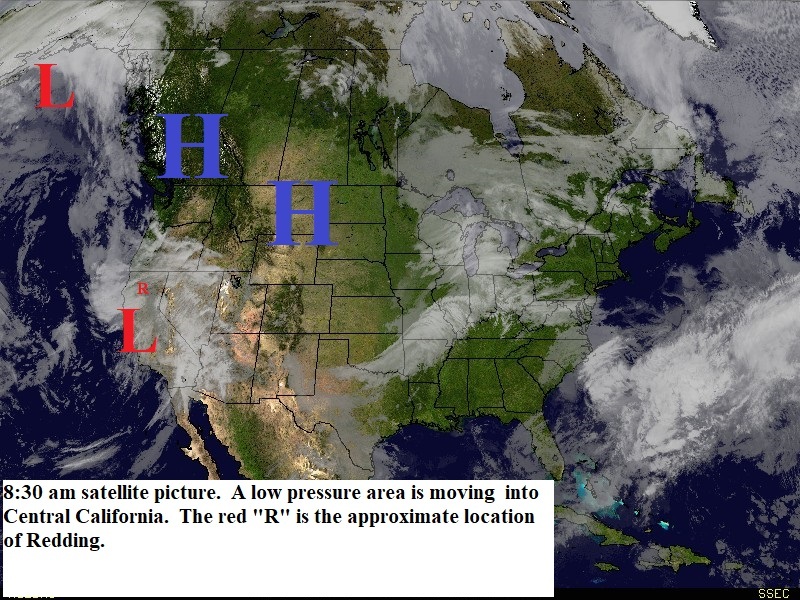 We will have a break between systems Saturday afternoon and Sunday and then another low pressure trough will move through Monday afternoon through early Wednesday (see map below).